With almost 5 million users, MailChimp Email List Manager represents one of the most popular and easy-to-use messaging tools for designing, sharing and monitoring email newsletter campaigns to your customers and social networks. Its powerful tools enable you to take full control over the process of creation and distribution of newsletters, with special options for integration with the services you already use. You can optimize marketing campaigns for mobile users, customize it with free API, adjust campaign for various languages, and track your results with comprehensive testing of online space (clicks, social activity, twitter mentions, Google Analytics), and more. 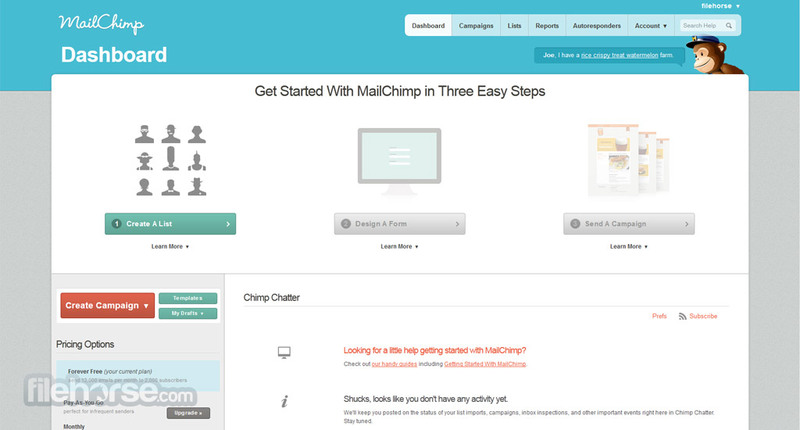 Send better email with MailChimp! Modern marketing is based on reaching the maximum amount of people with limited resources, and internet enables everyone to do just that. In addition to Social Media that has become prime focus of billions of people online, another very viable way of spreading the word about your product and brand is email. With email subscription list you have a direct line to the consumers that have already expressed wish to know more about your product, ready to respond to your marketing efforts by engaging with the message that you are sending them. However that is not an easy job, especially if you want to have service that is fully customized for each user individually, contacting them during their birthdays, enabling more useful, informative and targeted package of your marketing material. If you don’t organize your marketing to be that flexible, you must be prepared for lower response rate from your users. Finding the online tool for managing email marketing is today easy, but finding a best one that will perfectly suit your needs it different thing altogether. Among them we would definitely like to recommend MailChimp, service that is today used by more than 4 million people from all across the world. With awesome design, email or newsletter templates, stunning landing pages, full analytics, support for devices of all types, and countless other features, MailChimp must be one of your first choices. 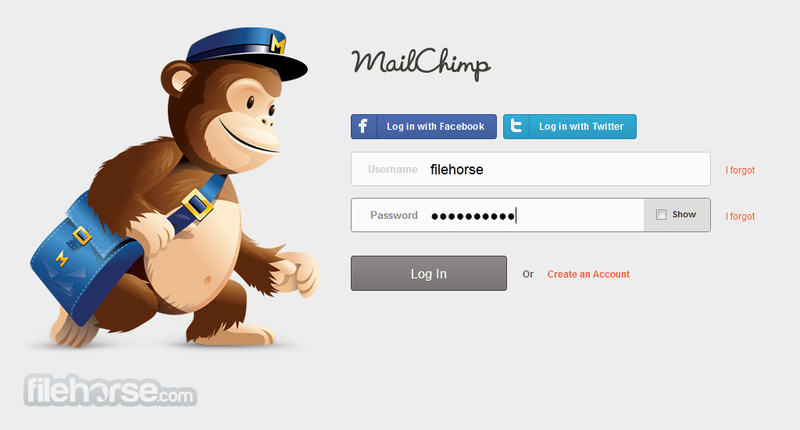 With strong competition around it, what does MailChimp offers of users? For start, it is a fully web-based email marketing campaign and list manager, able to create anything you desire – from custom emails, personalized emails, signup lists, pools, manage data received from subscribers, and manage entire marketing campaigns. To enable smoother control of many aspects of its work, MailChimp features integration into some of the most popular desktop and web services, such as Outlook, Google Calendar, Google Docs, Google Analytics, Facebook, Salesforce, Twitter, Wordpress and much more. Everything that you create with MailChimp can be exported into HTML code, so that your work can be used all around the internet, not only inside emails, and email creation can also import HTML code. Email creation is done by choosing initial template (all that are offered are beautiful, ranging from fun and colorful to fully professional), further customization can be done via easy to use drag & drop interface, you can code all or just portions of your email, and much more. MailChimp changed its interface several times, eventuallyreaching to its modern state with bright modern design that inspires confidence and professional approach to marketing. Tully beautiful design offers instant access to all features, with nicely placed navigation, email management, creation and analytic tools. UI is also scalable and perfectly usable in portable devices with smaller screens. If you are an user that has less than 2000 subscribers and sends less than 12 thousand emails per month, you can use everything MailChimp has to offer for absolutely free! If that is not enough for you, subscription tiers start from $10/month and go up to incredible $103 thousand/month (at this tier, you can send over 300 million monthly emails to 25.5 million users). If even that is not enough for you, MailChimp offers several “pay as you go” tiers. As one of the most popular email marketing service providers in the world, that sends over 4 billion emails each month, MailChimp represents a service that you have to consider using, especially with its awesome pricing plan that enables to test all that it offers without time trials. Try it out today, and establish great connection with your present and future subscribers. MailChimp is a great Email List Manager! Sending email newsletters doesn’t have to be a headache. It can be a delightful experience for both you and your subscribers. MailChimp support staff will help you customize your signup form to match your brand, so you can share it on your website and integrate it into your Facebook page. You can even collect signups from an iPad or laptop. And importing an existing list into MailChimp is a snap, no matter how it's formatted. MailChimp’s free reports tell you who’s opening, clicking, and coming back for more. They’re available for iPhone and Android too. Tweet Trends gives you insight into your subscribers’ activity on Twitter, and our Google Analytics integration gives you advanced stats on how your campaigns affect traffic to your website. 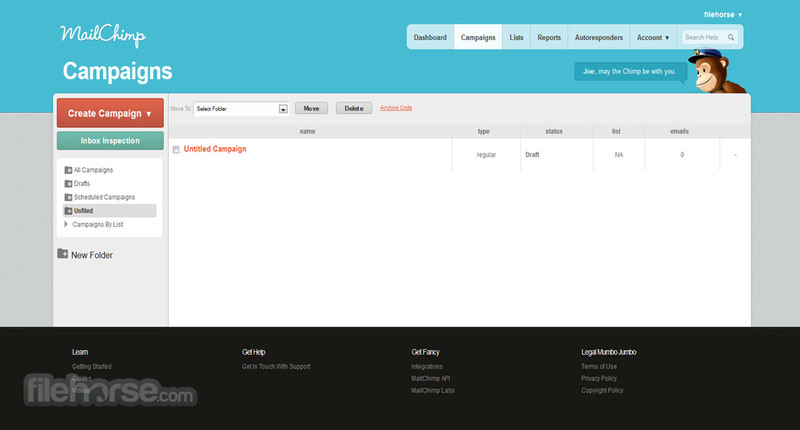 Email Marketing and Email List Manager for your Campaigns! MailChimp is Amazing!